Thanks to the large efforts of a few locals, the Wanaka Skatepark has finally had a long overdue makeover. Jason Parks of Premium Skate Designs was contracted to do the additions and he also make some improvements to the existing park. Thanks Jason for taking the time to do a good job. The additions to the park include a vert wall, and a wave style wall, both giving more flow to a bit of dead space near the top of the existing park. The biggest addition though would have to be the new pool style bowl. Vert, poot tiles and pool coping make this bowl something to be held in the utmost respect. Those that can skate it well are those with plenty of talent on a skateboard. 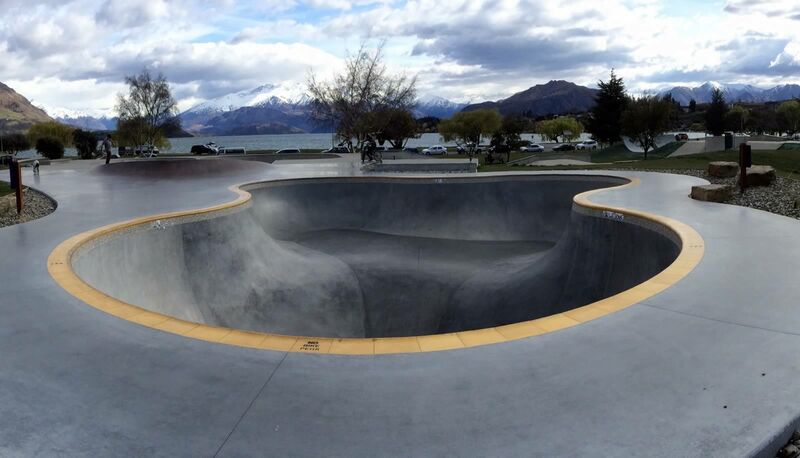 More details and photos, plus directions can be found here – Wanaka Skatepark. The vert wall is a great addition. It is always good to see sites update. Thanks for this. I will be back!! !